a few weeks ago, following a very successful farmstand one, i gave the 21 students and 1 TA in community garden outreach a challenge: "at our next farmstand, when people approach your table and say, 'i would like a salad, please,' i want you to say, 'which one?' 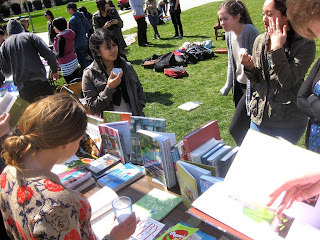 at the last farmstand we offered 1 of everything. this time, let's offer 2." 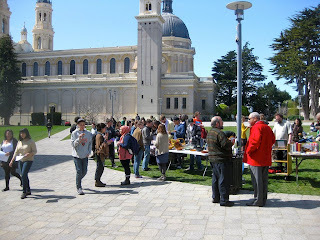 at our second farmstand (thursday, march 22) CGO students delivered. 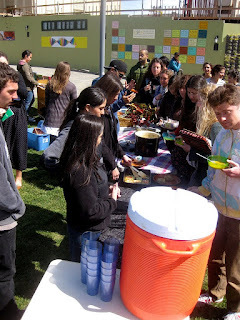 they harvested for, cooked, and served 2 salads (a mixed green with golden goddess dressing and a raw kale salad), 2 soups (a butternut squash with greens soup and spicy collard green with potato and sausage soup), 3 (3!) 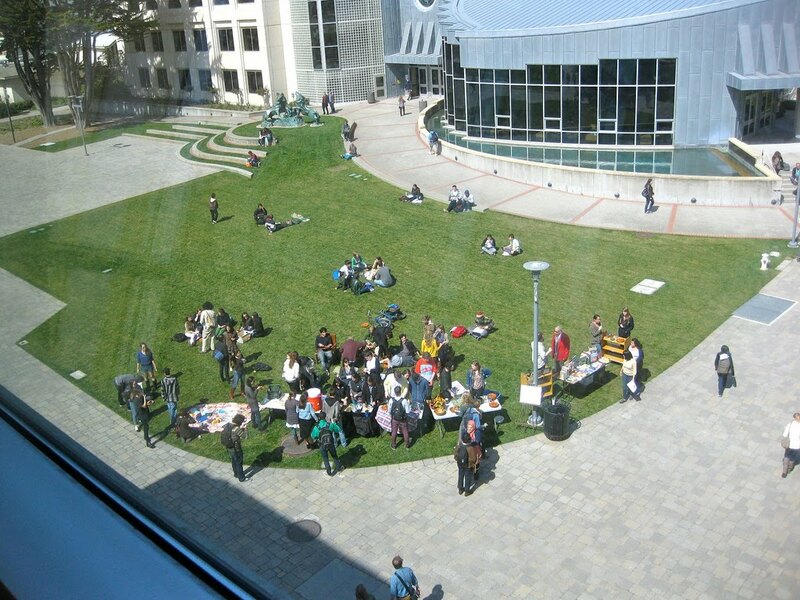 desserts (lavender cookies, lemon bars, and rhubarb almond bars), 3 (or 4) frittatas, and 1 huge vat of lavender lemonade -- all featuring at least 1 ingredient from the USF garden. 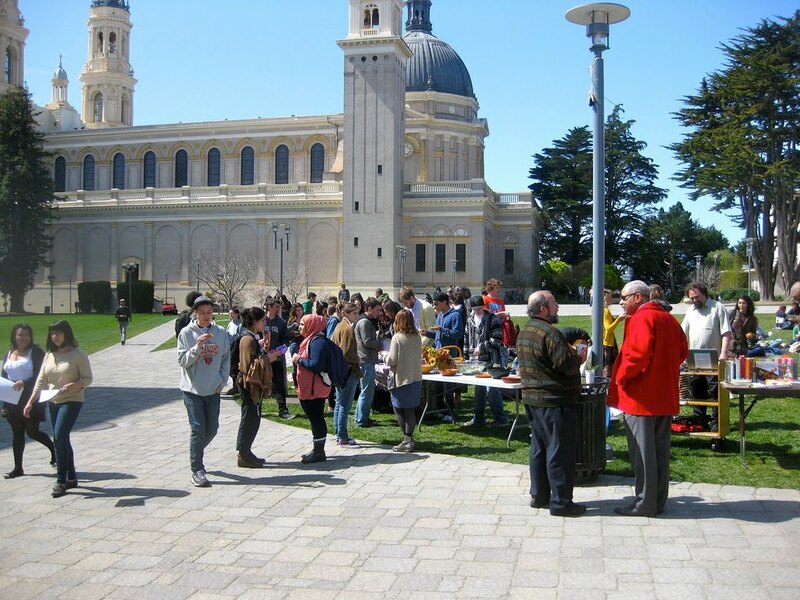 there's a real community forming around farmstand and it includes students, faculty, librarians, staff, administration, and jesuits. 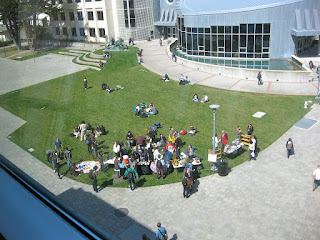 by the time we finally opened (about 12:10, i think) there was a long line of folks waiting for good food. 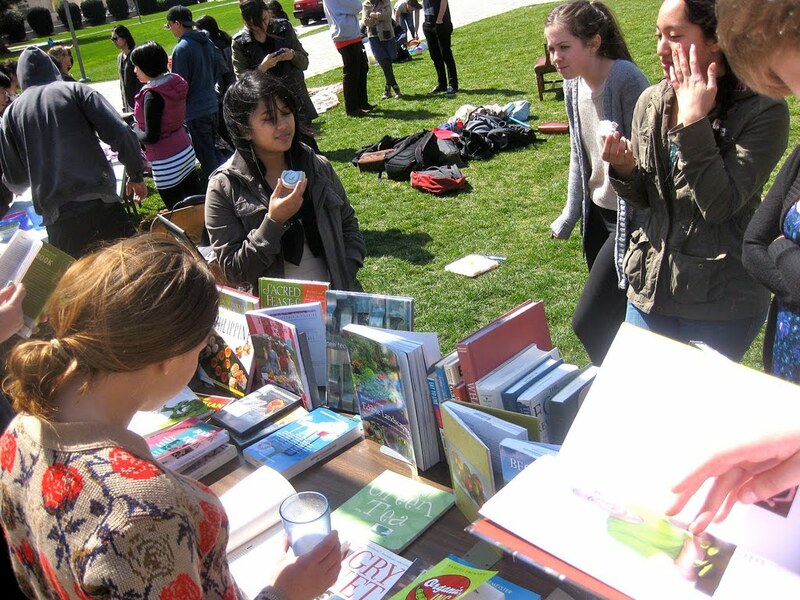 this farmstand included, for the first time, a food/cooking/gardening/sustainability-related book and DVD collection curated and created by gleeson library. 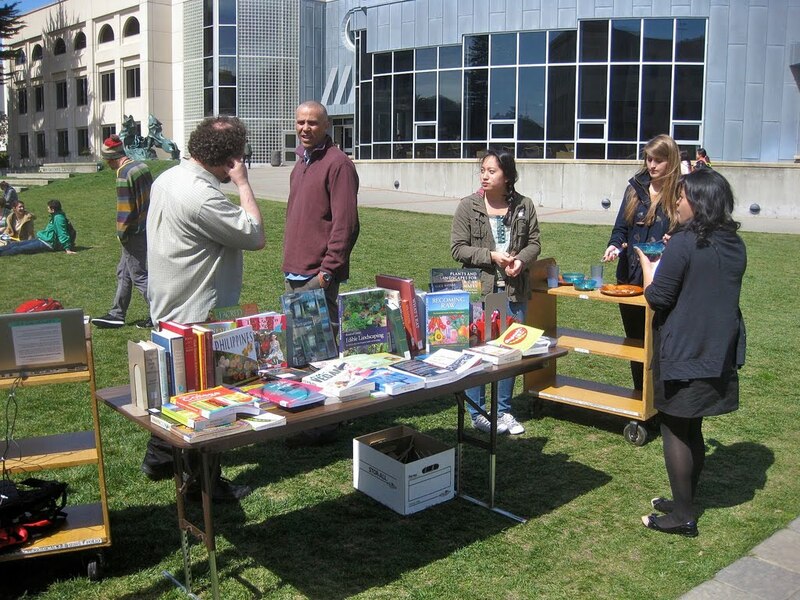 arranged by USF librarians debbie benrubi, shawn calhoun, matt collins, and sherise kimura, the gleeson mobile library offered on-the-spot, free, relevant, and borrowable books and DVDs to the farmstand community. perfect. Both Rothrock and Deaderick were directors of this library. 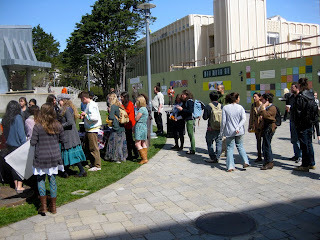 Looking back over my library career I feel fortunate to have met and come to know many exceptional library people. Since this is Women's History Month I thought I would close it with a post about a couple of those exceptional people who happen to be women. After I was released in 1969 from a military obligation that had interrupted my library career, I managed to land a job as Director of the Clinch-Powell Regional Library System located in East Tennessee. 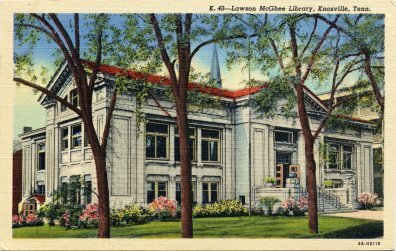 The library system consisted of six rural counties in Appalachia and I was the only public librarian with a library degree in the six counties. Feeling a little isolated I sought out connections with librarians in the nearby Knoxville urban area. It was through this effort that I met Lucile Deaderick (1914-2006) who had recently taken the position of Director of the Knox County Public Library. Tennessee had twelve multi-county regional library systems and four metropolitan county library systems. The directors of all of these library systems met quarterly with the state library staff in Nashville. For one of those meetings Lucile invited me to ride with her and a friend. The friend turned out to be Mary Utopia Rothrock (1890-1976), a pioneer in rural public library development and former Librarian for the Tennessee Valley Authority. Rothrock was also a former President of the American Library Association (1946-47). While Lucile and I were in meetings Rothrock conducted research at the Tennessee State Library and Archives. This trip was a memorable one for a young librarian embarking on a library career. Thinking about that trip I did some online searching and came across an online article about Lucile Deaderick in Metro Pulse written by Jack Neely shortly after her death in 2006. Neely used the phrase "An Uncommon Life" in the title of his article about Deaderick. In addition to a varied library career which included a stint as editor of the A.L.A. Bulletin, Deaderick and a friend operated a small farm for a number of years. Read Neely's article to learn more about her "uncommon life". Both Deaderick and Rothrock were strong individuals who chartered their own courses. Both were also historians which makes their story even more appropriate for Women's History Month. One of the biggest challenges faced by historians is the absence or loss of historical records which in many instances have been deliberately disposed of. The historian's best friends are those individuals who have the vision to acquire and preserve records that document important historical events. John Christopher Schwab, Yale University Librarian 1905-1916, was one such individual. 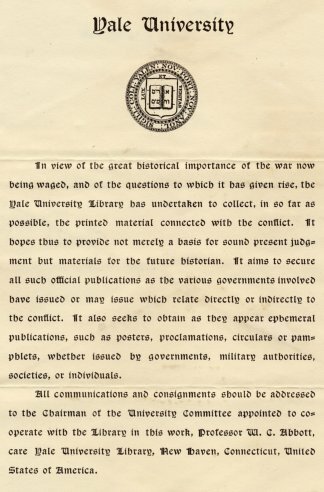 In the early stages of World War I when the United States was still neutral, Schwab and the Yale University Library, as documented in the letter and circular above, aggressively sought to collect "the ephemeral publications on every phase of the present war which appear as well in the neutral as in the belligerent countries." 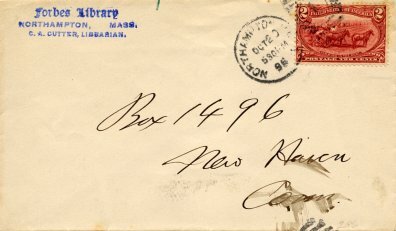 The two items are in my collection along with the envelope in which they were contained addressed to a Yale alumnus in Natal, South Africa and mailed on May 1, 1915. 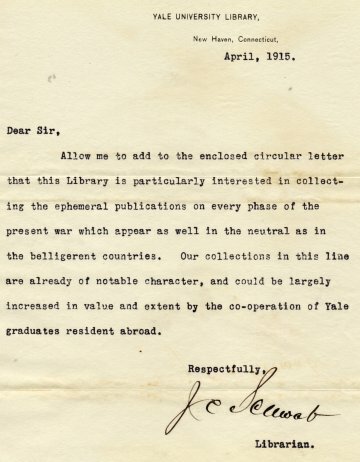 It's difficult to determine where the materials collected by Yale in this effort are currently located, but Yale does have an extensive portal to its World War I resources on its website. Fusion and all EBSCOHost databases (e.g., ERIC, PsycInfo, Academic Search Premier) are presently down. Our vendor is working on the problem and we hope to have the databases up and running as soon as possible. Below I have listed the significant birthdays in March for former American library leaders. All are included in the Dictionary of American Library Biography (Libraries Unlimited, 1978) or the 1990 Supplement. Thomas Lynch Montgomery (1862-1929), 150th anniversary of birth on March 4. Served as State Librarian of Pennsylvania (1903-1921) and Librarian of the Historical Society of Pennsylvania (1921-1929). Henry Augustus Homes (1812-1887), 200th anniversary of birth on March 10. Served as Supervisor of the General Library of New York State Library from 1862 to 1887. He was one of the three original Vice-Presidents of the American Library Association following its establishment in 1876. Charles Ammi Cutter (1837-1903), 175th anniversary of birth on March 14. Served as Librarian of the Boston Athenaeum (1869-1893) and Librarian of the Forbes Library in Northampton, MA (1894-1903). He was a founding member of the American Library Association and served as President in 1887-1889. He is noted for his contribution to cataloging and classification in libraries. He was a contemporary and sometimes rival of Melvil Dewey. James Bertram (1872-1934), 140th anniversary of birth on March 17. Bertram was Secretary to Andrew Carnegie and the Carnegie Corporation of New York from 1897 to 1934. He played a major role in the distribution of Carnegie grants for library buildings in the United States and other Carnegie Corporation projects. Nathan Van Patten (1887-1956), 125th anniversary of birth on March 24. Served as Librarian of Stanford University Libraries (1927-1947). Guy Elwood Marion (1882-1969), 130th anniversary of birth on March 25. Served as librarian for several special libraries. He was a charter member of the Special Libraries Association and served it in several capacities including President in 1919.